SSJ4 Broly looks fantastic, as does 16 (Though using the Sentry mold might have been slightly better to give him some bulk). 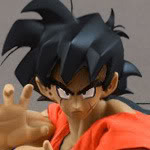 Gohan's a BIT odd looking with how big his sleeves are, but I suspect that's intentional because of the removable arm. Speaking as someone who's done some work in this scale, really good job here. These are great!!! It has to be really hard making customs in this scale, so I have to give credit where credit is due! Great job!! @majin Tomato Thanks for the comment man! 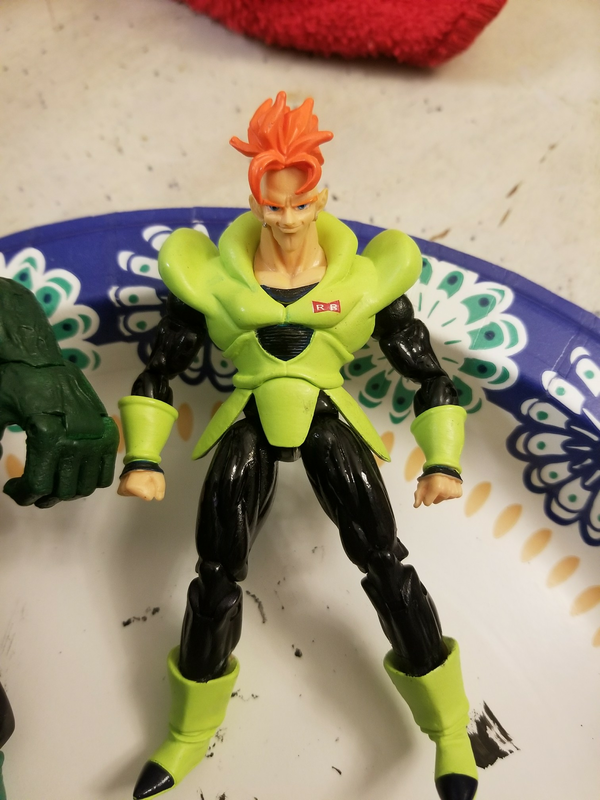 I agree that 16's legs and Gohans sleeves are a bit annoying for me to look at, but Android 16 waste armour is a bit too small to fit in bigger legs. Your assumption about Gohans sleeves are correct but maybe I'll work on it. I just saw all these. They look awesome! I really like the Janemba. You should have made him a sword! I hope you end up making the Omega Shenron you mentioned. I bet he would look fantastic in this style. Thanks Man! Ya I plan on making a sword, that's why I gave him an open fist. Omega Shenon is put on that backburner cause i can't find a base in the right size.. I don't care much for figures these small but you did a great job and the DBZ parts you were able to use for this scale make them look incredible. I always prefer more stylized figures over bland simple sculpts and these are very cool and dramatic. Could it be possible with Android 16 to use different legs from the hips down now that you have the waist installed ? Maybe the shoulders down too ? Just curious what else could be done if you chose to , great job. Thanks for comment man! I chose mu nova legs cause I don't really care so much for the character, it was already black and it just fit a lot easier, but i'll see if I can fit sentry's legs in there (I don't care about sentry either). I think if I would have not cut so much off of Nova's mid section and let the waste armour sit higher and exposed more of the "crotch" area, more like the hg version, it would have looked much better. I'll work on it. I took y'alls suggestions and upgraded android 16. I'm happy with it! He legit looks amazing. Great work. This looks a lot better and I think it suits the character better. 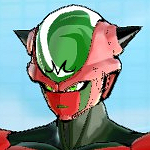 You could always make a Great Saiyaman with the left over Nova pieces perhaps. In case anyone cares, it wasnt as simple a swap as you might think. The peg joint inside the smaller nova shoulder is LONGER than the larger Sentry shoulder peg joint (part that connects the shoulder to the body).. not only that, but the bicep for sentry didn't fit on the nova shoulder. So i had to boil 4 arms, cut out the shoulder joint, then swap them out so that the new arms can fit inside 16s body without any further modification. Also, I kept the lower arms from the nova fig, so I had to swap those out. Grind, paint and seal.. then done. Well all that work made the figure look way more accurate, from good to great. The hard work really shows. 16 looks great!!! 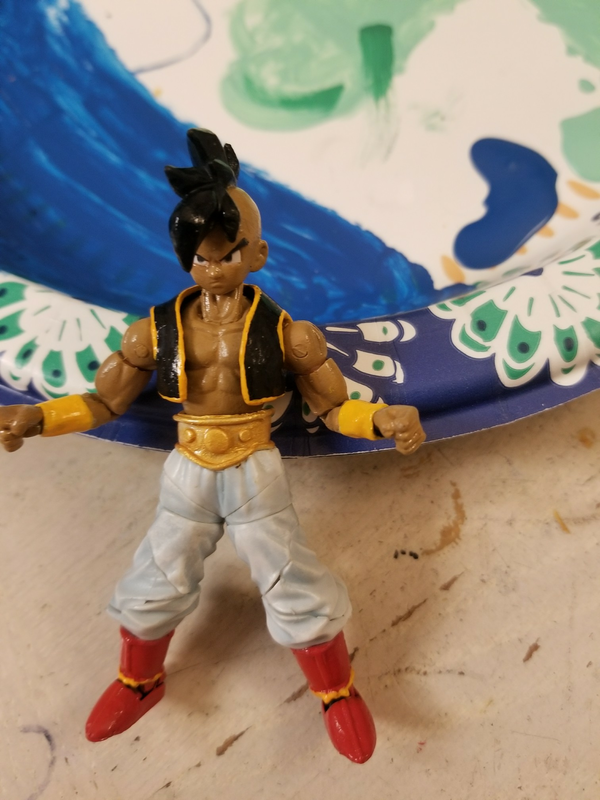 Majuub- hybrid Gotenks as a base, mini majuub fig head, modified Gotenks vest, modified Gotenks belt with epoxy sculpt, neck and boots from hybrid goku. The belt was the hardest part for me due to having to carefully grind down and sculpt the upper part of the pants to make the belt look like it sits correct over the pants. Paint, seal and glue brings the figure home. Hope y'all dig it. It all looks so seamless I never would have thought it took that much effort and hard work. Thank you for explaining the process it looks really great, your whole custom collection is coming out fantastic. Thanks Friend! It was hard for me to not go the easy route with this character's vest and belt. A simple repaint on the vest or not adding the dip on the front of his wwf championship belt would have looked ok, but irked me.